That was one truth even his son Barron surely knows without having to consult a PDB. The holocaust line and his musing that “lots of things are done with uranium including …bad things,” were among many “Dr. Strangelove” moments in that jaw-dropping shoot-from-the-hip performance. Certainly there’s never been one who has shredded the truth with such audacity. In a classic cut-off-the-head-of-the-messenger” move, he then insisted that the real problem in this Russian scandal was the continuing disclosures to the press. The leaks. “Those are criminal,” he said, “I’ve actually called the Justice Department to look into” them. But in the two months since we’ve used this website to curate the best investigative reporting on the Trump election, transition and presidency, we’ve assembled more than 100 articles proving that Donald Trump has had dozens of business relationships here and abroad with interests from The Russian Federation – many dating back to the early 2000’s. He’s been in multi-million dollar deals with oligarchs and Russian gangsters; some of which could have produced the kind of kompromat that Vladimir Putin, an ex-KGB Lieutenant Colonel, could use to lean on the U.S. President. 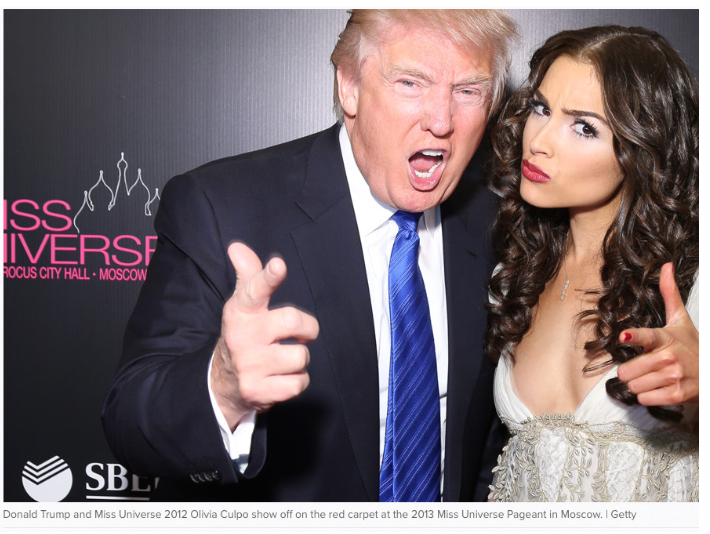 His production of The Miss Universe contest in Moscow three years ago was far from Donald Trump’s only contact in his relentless pursuit of business in the former U.S.S.R.
It’s no wonder that after getting such relentless questioning from reporters on the Russian issue, which the DOJ and congressional committees are now investigating, Mr. Trump lashed out at the media Friday with a series of Tweets aimed at the press. It wasn’t the first time that Donald Trump had taken a page from the Nixon playbook, as I noted in an article for The Huffington Post filed on New Year’s Day. But two weeks later in another HuffPost I identified the real role model that the President and his chief strategist Steve Bannon are channeling day-by-day as they put the U.S. media on the same level as a network of Kremlin spooks. 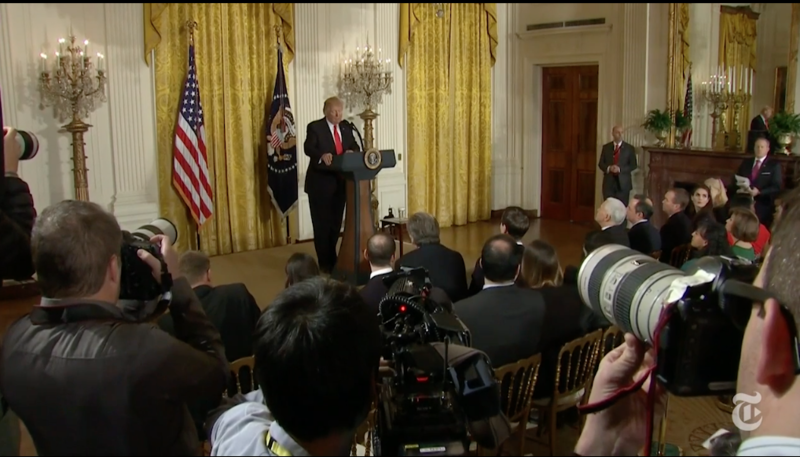 So if any of you’re wondering why, after his buffoon-like performance on Thursday, Donald Trump started The President’s Day weekend by drawing down on “the media,” understand that the real protectors of the state are the reporters who work each day to rip the lid off corruption, hypocrisy and yes – maybe even treason. 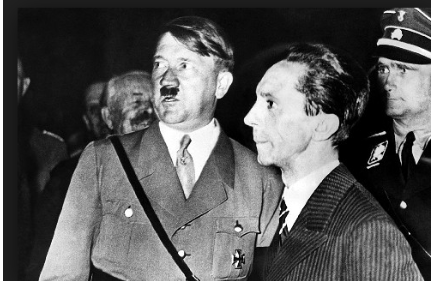 Goebbels, was right, “the truth is the mortal enemy of the lie. 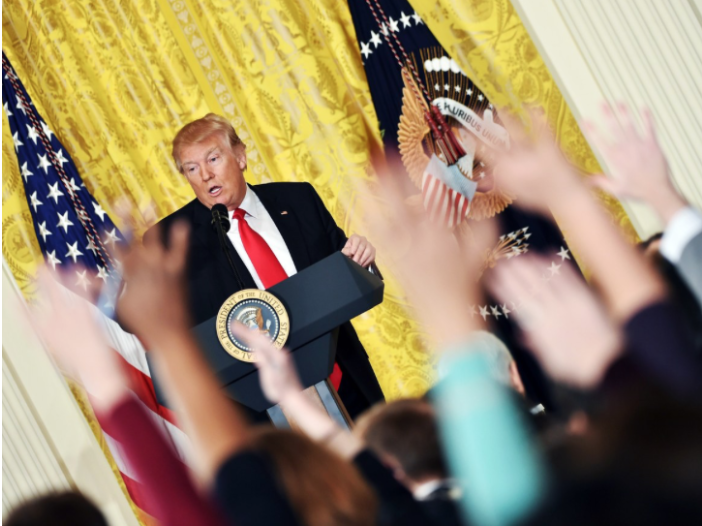 And in an administration that is nourished by falsehood at every level, the media is the best hope that “the American people” will get through this presidency with their democracy intact.